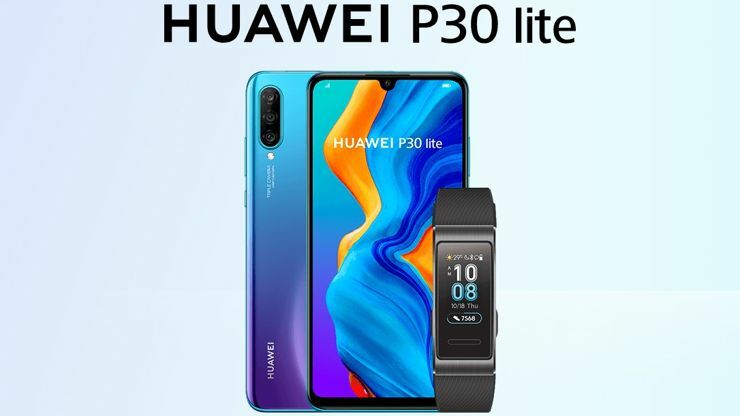 Huawei P30 Lite is a smartphone equipped with a 6.15-inch Full HD+ screen and Kirin 710 octa-core processor, supported by 6 GB of RAM and 128 GB of internal memory that can be expanded with a microSD card. The phone also has a classic fingerprint reader, dual SIM rechargeable battery with a capacity of 3340 mAh with fast charging of 18 W.
The droplet notch in the screen has a 32-megapixel camera with a f/2.0 lens, and the triple camera lurks behind it, with a main matrix of 24 Mpx and f/1.8 lens and a wide-angle lens f/2.0 and a matrix of 8 Mpx - and their operation supports 2Mpx matrix for blurring the background. As of now, Huawei P30 Lite appeared in Canada - at CAD 499, which gives approx. 370 USD. The appearance of this model in other countries is probably only a matter of time. Source Huawei; viewed: 332 times. Huawei P30 Pro will be a star, there is rather no other option. The competition tears the hair off their heads, and in the meantime I can nitpick.